Finally! I went out for a ride today. I didn't do anything new or noteworthy but it felt like such a treat, which it was. It's been a long time since I've ridden for sheer pleasure. It was mid August in fact. Since then I've been to work then come home. Once or twice I've gone a different way home but nothing substantial. Despite having been in almost daily use, my bike had been decidedly underused. 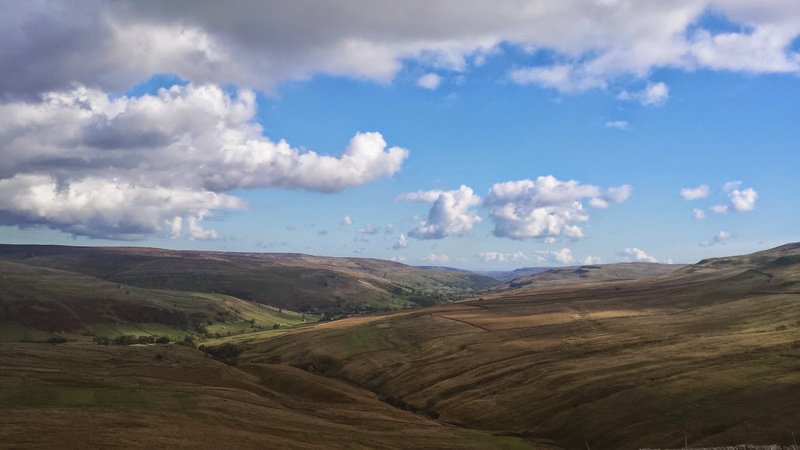 This morning, I made my way up the A59 as I do most Sundays but for once I missed my turning, quite on purpose, and carried on up Cote de Blubberhouses (formerly Blubberhouse pass). I'm pretty sure I had to stop my bike turning all by its self. We were free for the day and heading for the hills, all thanks to my parents doing my parenting for me. Thanks mum! Thanks dad! 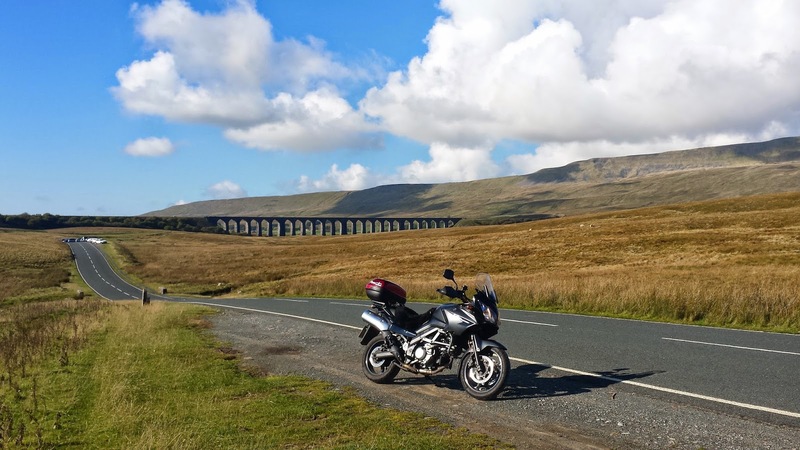 Actually, the first 40 miles were foggy and hard work but after meeting my buddy Kev for breakfast in Settle we headed off on the well trodden 'Hawes loop.' Thankfully, as we climbed to higher ground we left the fog, leaf mulch and Sunday drivers behind. From there on the day just got better, a real treat in October. 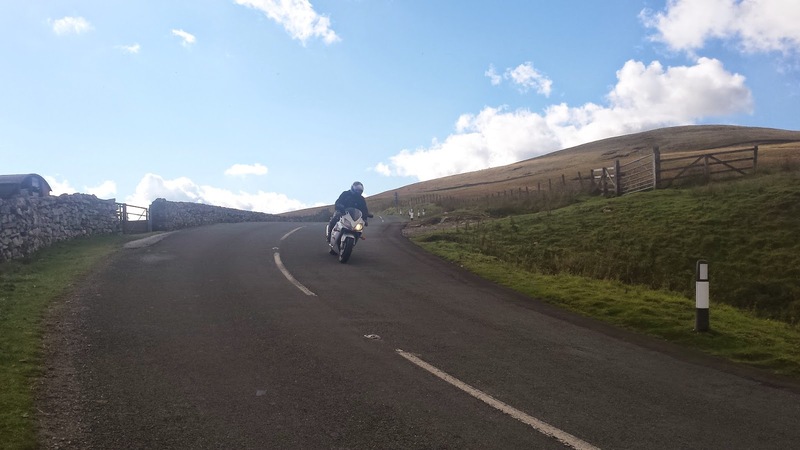 Kev, a self confessed fair weather sports bike rider, doesn't usually ride outside the summer months and likes his tarmac wide, smooth and fast. Today however, he was on the look out for places to take his newest toy, some sort of fancy digital SLR camera. That meant he was willing to let me lead him up a few of the narrower roads he wouldn't usually thank me for. There was a lot of stopping but I didn't mind. It was a beautiful day to be up in the hills. Sounds like a good day out. I have driven through that area last year while on holiday. Great bike roads you have there.